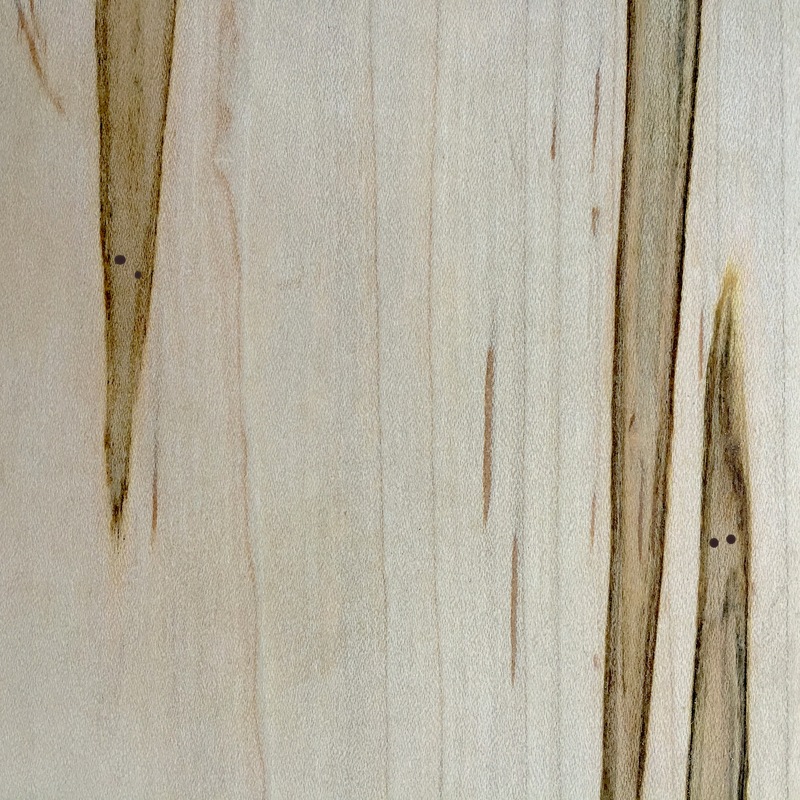 The spectral ripples in this maple wood gives it its colloquial name: Ghost Maple. Also known as Ambrosia Maple, it refers not to a species of tree, but rather the species of beetle that infects it: the Ambrosia Beetle. The beetle is symbiotic with the Ambrosia fungus which creates the blue-brown stains. It goes like this: the beetle finds a way into a dead or dying tree, usually through a wound, and begins to drill a network of tunnels; as it does, it seeds the tunnels with spores of the fungus, like a farmer planting his furrows. The fungus grows on the walls of the tunnel and feeds on the tissue of the tree, producing a nutrient by-product which feeds the beetle. The tunnels are so small, they do not compromise the integrity of the wood from a carpenter’s perspective, and the contrast in the stained grain is quite attractive. It is therefore a natural choice for furniture, cabinetry and instruments. And because the Ambrosia Beetle often selects dead or dying trees, Ghost Maple is a good no-murder choice for your next project.